ICBC has announced that it will be requesting that the BC Utilities Commission approve a 7% increase in auto insurance premiums. The Crown Corporation suggests this is required due to increased costs associated with injury claims. This is not a surprising development given the insurer’s management theory and ongoing adversarial approach to people injured in accidents. If an injured person is routinely forced to sue in order to receive fair compensation, it’s no wonder ICBC’s legal costs continue to soar. ICBC has recently announced the intersections responsible for the most number of accidents. Not surprisingly, the majority of the most accident prone intersections are those connected to Highway 1. The only Vancouver intersection to make the list is the Knight Street bridge at South East Marine Drive. The BC Supreme Court has ruled that a designated driver injured in a car accident after her husband passenger grabbed the steering wheel causing her to lose control is not entitled to damages for her injuries because she was not covered by her insurance. In a ruling which may cause people to think twice about offering to drive a drunk passenger home, the Court found that as it stands the law does not offer protection to drivers who are injured as a result of actions of their drunken passengers. Advocacy groups such as MADD have expressed disappointment in the ruling arguing that the media campaign to encourage designated drivers might be hindered by this development. New ICBC Statistics remind us that pedestrians and parking lots are often a dangerous combination. At this time of year when shopping malls are packed with anxious and unfocussed drivers and equally inattentive pedestrians, it’s important to be aware. 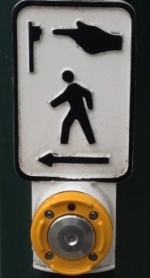 129 pedestrians have been injured over the past five years in Lower Mainland shopping malls. Given its size, it is not surprising to see that Burnaby’s Metrotown has seen the most number of accidents. In recent years ICBC has been taking a more aggressive approach with claimants, hoping to contain claims’ costs for the Crown Corporation so that profit can be used elsewhere in the institution. For those representing injured people, it has been obvious that a top-down change in policy has occurred. 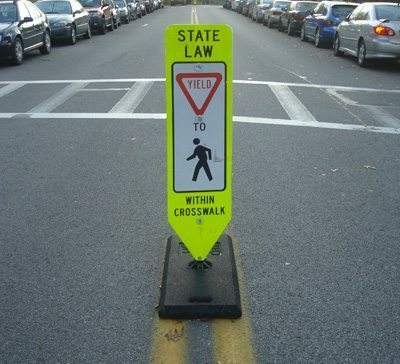 As predicted, the response has backfired, and now more and more people hurt in car, cycling, and pedestrian accidents have hired lawyers to represent them in the face of this mandated unreasonableness. The result? ICBC’s costs for driving people into the Courts have increased by about 20% over the last five years. As told in recent media reports, ICBC is having to pay out more money to successful claimants and their lawyers after driving them into litigation. ICBC’s Legal Costs. The BC government’s 2012 review of the insurer found there to be widespread potential for reduction of staff, salaries, and other layers of bureaucracy. Should taxpayers, and more importantly, people injured in accidents be forced to bear the burden of paying for this mismanagement? In the latest attempt to fund transit and infrastructure initiatives, Translink, the region’s transportation authority has suggested that ‘road pricing’ may be in our future. Road pricing typically keeps track of a vehicle’s movement via GPS, and charges the user a fee based on when, where, and how often that vehicle operates on the roads. The system will likely punish those who use the road system at peak times and those who cover the greatest distance i.e. suburban commuters. It’s going to be interesting to see whether or not this traffic reducing and cash generating change in the approach to transit funding will be able to survive the provincial government’s commitment to a referendum on a new funding formulae. Whether or not using a ‘user fee’ model to pay for transit will fly remains to be seen. What is clear though is that building transit infrastructure correctly can result in significant changes to traffic pressures on the overall system and help to increase efficiency and safety for drivers, pedestrians, and cyclists. The success of the Canada Line has shown that ‘if you build it, they will come. . .’ The tough part is finding a way to pay for it! As a recent RCMP Media Release has pointed out, British Columbians are breaking the rules when it comes to driving while using phones and other electronics. We’ve all been in the situation where an important call comes through and we guiltily grab for the phone, but evidence is mounting that many people are not simply using their phones and other electronics occasionally when behind the wheel, but rather they are flouting the law consistently and for long periods of their commutes. During their February enforcement campaign, police issued more than 6,000 violation tickets, up from previous years. Increasing the penalties for the offence are being considered, including enabling police to seize phones for period of time. As distracted driving can have dire consequences, it’s clear the current regime of fines is not working and that people are not getting the message. Also recently, a BC Coroner’s Service inquest into a pedestrian fatality involving a police cruiser was published. The inquest recommends that police forces re-consider their policies surrounding the use of electronic devises in police vehicles. In this case it was found that a police officer’s inattention while using an on-board police computer contributed to the jay-walking death of a Surrey pedestrian. UBC professor of mechanical engineering Doug Romilly has recently stressed to motorists that whiplash injuries can often be prevented, or at least minimized by making some simple adjustments to our vehicle’s seating. As whiplash injuries to the neck and back represent the majority of accident injuries in BC, the medical and financial costs exceed an incredible $465 million per year. The Costs of Whiplash. The professor has some simple and effective techniques to assist drivers in optimizing their seating position to properly take advantage of the sophisticated safety features of their vehicles. Most important is making sure that the headrest is properly adjusted so that it is high enough to cover the entire back of the head, and that the back of the head is not too far away from the headrest. Professor Romilly’s adjustment recommendations can be found at Whiplash Prevention. There has been considerable media focus of late on the new Port Mann Bridge and winter driving conditions. Following up on the snowfall which led to ice falling from its cables and damaging vehicles below, the Port Mann was again the setting for another series of accidents involving fog and black ice. Port Mann Pileup . Following the 40 plus accidents which occurred over a few hours, the bridge was again closed to traffic. The incident reminds us that the combination of slippery roads and driver inattention can cause mayhem on the roads. In the follow up investigation into the accidents, it has been determined that the contractor responsible for maintaining the bridge had taken adequate steps to ensure the safety of the bridge in the hours leading up to the pileup. In truth, driver inattention to fog and potential ice was the decisive factor in causing this mass accident. When it comes to determining negligence in any motor vehicle accident, it is always important to understand that what is a ‘reasonable’ standard of care in operating a vehicle will change depending on the road conditions. Often, if someone is driving in winter conditions at the posted speed limit and is driving at their usual distance behind another vehicle, if they are involved in an accident, they will be found to be partially or completely at fault. When it comes to driving in difficult weather conditions, you must take steps to ensure you are driving in a reasonably safe manner so as to avoid any accident and injury. The Vancouver Police Department has issued warnings to drivers and pedestrians to take extra care this time of year. The warnings come on the news of the 19th pedestrian fatality of 2012. Last week, the VPD released its media fact sheet outlining the alarming statistics. fact-sheet-ped-safety.pdf November and December continue to be extremely dangerous for pedestrians, largely due to the number of dark and rainy days and the visibility problems for drivers. The fact sheet offers tips for both pedestrians, cyclists and motorists. expect the unexpected – a vehicle stopping in a lane beside you may be yielding to a pedestrian crossing the road.